Other: High speed chrome baitfish lures, chrome spoons, slugs, flathead jigs and plastic squid for trolling and metal lures such as Juro Shiners and Halco Hex slices work for spinning. Saltwater flies such as Clousers and Deceivers. Link: 3 - 7kg main line. Hook: No. 2/0 - 6/0 Mustad 34007 Stainless Steel. Rig: Whole live or dead bait under a float. Light to medium trolling and spinning gear. Fly gear. 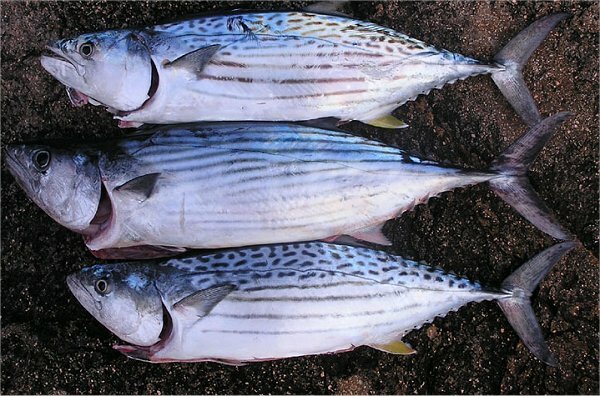 Fish frequent wash areas of rocky headlands and inshore reef areas so fish close to rocks. Best fishing is at dawn. Trolling over reefy areas and around headlands. Trolling speed of around 5 knots works best. Summer and autumn produce good fishing.